Shopify is a powerful and advanced eCommerce software that needs no introduction in the contemporary web design and eCommerce markets. The system has always been and now remains one of the undeniable industry leaders, providing a variety of features and tools needed to cover a broad range of customers’ web development needs. However, let’s face the truth: regardless of hundreds of undeniable advantages of the platform, it is still quite complicated, especially for users, who have never been involved in website development before. What’s more, there are users, who suddenly face the need to cut down their eCommerce expenses and create a smaller web store. There are also users, who consider Shopify transaction fees, paid templates or add-ons too expensive. This is one of the major concerns of beginners, who are just starting their eCommerce businesses and are not ready to invest much into the process. 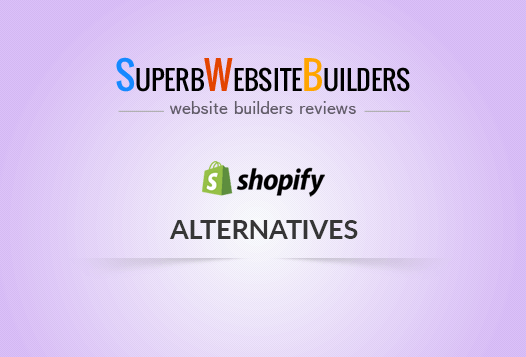 Whatever reason to look for a decent Shopify alternative you have, you are bound to be aware of the best substitutes to the system that won’t leave you indifferent. The development of the website building niche does not remain the same and Shopify competitors start offering solutions that are simpler, more affordable, much better in quality and convenience of use. The number of decent web building solutions you can use as Shopify substitutes is really impressive and it keeps growing with every passing year. Whether you are just on the starting point of your web design career or have already gained popularity in this niche, using website builders will be a smart choice. These systems are flexible, cost-effective, easy-to-use, convenient and intuitive for everyone. They have much to offer users with diverse web design background, skills and expertise rate. Let’s assume that you have realized the necessity to switch to a simpler Shopify alternative that will simultaneously feature ease of use, customizability and convenience. Which service should you go for in this case? Which one will work best for your particular eCommerce web design needs? In this post, I have reviewed the best Shopify competitors from the points of view of versatile online store creation options and objectives. I’ve explored and tested over 100 website builders and eventually decided to stop at five solutions – Wix, uKit, BigCommerce, Volusion and WordPress. It’s high time to figure out what makes them decent substitutes to one of the best representatives of the modern eCommerce web design niche. Design Editing Options. With Wix, users can choose between two website editing options depending upon their skills and coding awareness level. Wix ADI works great for users, who cannot boast rich web design expertise, yet have the desire to create and customize an effective small-to-mid-sized web store. The Artificial Design Intelligence tool literally does all the work for you, filling out the most suitable eCommerce template in the automatic mode. eCommerce Engine. The system comes with a powerful eCommerce platform that lets you easily launch and manage a decent online store. What you can do here is to adjust payment and shipping options, create exclusive show window design, issue discount coupons and gift certificates, set tax management parameters, import/export products, upload and manage product lists etc. Easy Management. All online stores created with Wix are easy to manage. All the orders are added to the Store Manager to enable you to track their status and details. You can also manage your inventory list here by setting product size and color options, indicating the number of available products etc. It’s also possible to keep in touch with the customers by sending ShoutOut newsletters to keep them notified about the current product offers, sales, plans, events and what not. Variety of Professional eCommerce Templates. 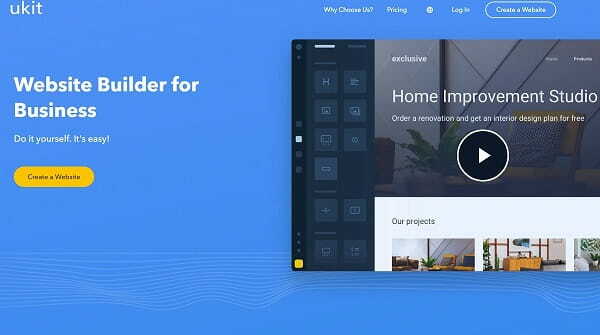 The website builder offers a pretty large selection of eCommerce templates. All of them are mobile-responsive by default and fit any screen resolutions and sizes. Secure Payment Options. Wix is concerned with the security of each payment. It allows receiving different types of payments, including credit cards, PayPal etc. As an online store owner, you can set tax and shipping rules, modify the prices and perform other actions to ensure safe shopping experience to your customers. Multilingual Support. Wix makes it possible to create several language versions of your website to target customers and partners from abroad. This notably boosts the efficacy of the website builder and its eCommerce focus. Cost: There is a free plan that lets you build, control and manage a ready-made website (or even create several websites) with ease for the unlimited time interval. However, when it comes to eCommerce website development, this plan doesn’t work at all as it comes with multiple limitations and functionality restrictions. Fortunately, Wix has a separate eCommerce plan suitable for this purpose. Its cost constitutes $16.50/mo. Easy WYSIWYG Website Editor. The website builder comes with a simple and intuitive WYSIWYG website editor that lets any newbie control the process of website creation right from the start. This matters a lot for users with little or no web design skills, who can further fix the problems without distracting from the web design process itself. eCommerce Web Building Options. With uKit, you can build an online store in one of two ways. The first one implies the connection of the eCommerce widget to a ready-made website, while the second one implies integration of the Ecwid plugin into it. Both options are worth the attention, when it comes to successful eCommerce website building. External Integration Services. The website builder lets you easily integrate any external service to your online store to give it excellent performance and usability. Among the widgets that can be integrated, you can choose Google Maps, Timeline, Callback Widget, MailChimp, LiveChat and what not. Responsive eCommerce Templates. The system has an extensive collection of quality responsive eCommerce templates. What you need is to select the template you like with regard to the niche you focus on (if you don’t like the one for some reason, you can change it anytime) and use design customization tools available in the dashboard to start working on your own design. CRM Integration. If you wish to get the most out of the eCommerce web creation process, CRM Integration tool will be of great help. It will let you track website statistics, client relations, profitability of your website etc. directly in the web store dashboard and any time of the day. Versatile Payment Options. uKit makes it possible to choose the most suitable payment and shipping options to ensure the unsurpassed online store functionality. The system comes with multi-currency support, which contributes to its performance and convenience. All in all, uKit supports PayPal and offline payment options. Temporary Shared Website Access Rights. If you wish to design the web store in cooperation with other team members, you can assign shared website access rights to them. This is how you will gain control over the development process, while your co-partners will be able to make website edits without having access to payment and billing details. Temporary website access rights extend for 999 days and can be granted to any number of co-designers you need. Widget Integration. With uKit, you can integrate any standard and eCommerce widgets into your online store. For the ease of use, these widgets are divided into categories, while their integration is just a matter of minutes and few clicks. As of today, you can choose between Media Widgets (SlideShare, SoundCloud, Video, News, Steps etc. ), Contacts (MailChimp, Callback Forms, LiveChat, LiveAgent, Cost Calculator – uCalc JivoSite), widgets of social networks (Facebook, Pinterest, Twitter, Instagram etc.). Cost: The system offers a 14-day trial, the duration of which is more than enough to let you test the features of any paid plan you are interested in. When it comes to eCommerce website development, though, uKit has a separate eCommerce plan, which lets you create and manage a decent web store, making use of multiple eCommerce web design options. The plan allows users to create the unlimited number of online store pages, connect their own domains, make use of 24/7 tech and live chat support, get access to premium eCommerce templates, statistics, hosting and more. The cost of the subscription currently constitutes $9.60/mo – this is less than you could ever expect. Powerful eCommerce Integration Options. The website builder comes with a set of powerful eCommerce integration options that are specially created to enhance the quality of web stores created with the system. Among the available integrations, you can choose and connect multiple marketing and conversion apps (Google AdWords, HubSpot, A/B testing suites like Optimizely etc. ), ERP integrations to boost the efficacy of your website performance (Brightpearl, NetSuite and Microsoft Dynamics), shipping applications (ShipperHQ, Ordoro, Endicia, ShipStation and ShippingEasy), CRM apps (Salesforce, NetSuite and Zoho), API and accounting tools etc. Marketing Opportunities. With BigCommerce, you can set up marketing apps and features like social account integration, selling products via multiple trading platforms, setting up automated email marketing tools, organizing product exchange/return processes, creating and managing the inventory list, assigning product parameters and specifications, designing ad banners, issuing gift certificates and discount offers etc. CSV Export/Import. The system makes it possible to easily upload product list by using the advanced CSV export/import feature the system offers by default. Responsive eCommerce Templates. With BigCommerce, you can select between more than 100 templates, all of which are responsive in nature and fully-customizable. Mind that the prevailing amount of themes are provided on the paid basis, but the cost is moderate and is definitely worth the quality of each and every template provided. Cost: BigCommerce is not a free system. However, there is an opportunity to test its features for 14 days at no cost at all. The paid plans include 3 subscriptions, the price of which ranges between $29.95 and $249.95 per month. It is possible to save 10% of the initial cost by making the annual payment. Finally, the system offers a one-of-a-kind Enterprise Plan that does not have a fixed price and the cost of which is discussed in details with the product manager in each individual case. Impressive eCommerce tools. The software comes with a set of important tools, many of which are a must-have for an eCommerce website. These are: extensive inventory list, Barcode Generator, advanced inventory management system and more. CSV File Product Import/Export. Whether you are going to sell physical or digital products, you won’t face problems when making up the catalogue and uploading products there. The CSV file product export/import feature will help simplify the task. Enhanced Web Store Performance Tools. With Volusion, you can improve your web store performance by making use of niche-specific features and tools. Among the elements you can integrate into your ecommerce website, it make sense to mention the following: shipping and tax rate calculator, advanced recovery tools, customer-account management, special vendor codes, simple order processing, drop shipping integration, warehouses set up, bot captcha feature, professional currency tools etc. Quality eCommerce Templates. Being an eCommerce system, Volusion offers a collection of niche templates divided by categories. The choice is not quite extensive (as of today, there are over 40 eCommerce templates here), but the quality of the themes is on the top notch level. Whatever template you will go for, it will be responsive, 100% customizable, offering the advanced WYSIWYG and CSS/HTML code editing options for those, who have such skills. Cost: Volusion pricing policy adheres to various eCommerce requirements, objectives and skills. The system has no free plan, yet it offers paid subscriptions instead. The cost of the cheapest Personal Plan currently constitutes $29/mo. The most expensive Business subscription will cost you $299/mo. Easy-to-Integrate. WooCommerce works great for building small and mid-sized online stores. It’s easy to integrate it into any WordPress website to give it eCommerce functionality. Detailed Application Wizard. As soon as you download and install the system, you’ll be offered a detailed wizard on how to get started with your web store creation and further management successfully. This is what makes the system a good choice even for less experienced users. Complete Set of Out-of-the-Box Features. WooCommerce comes with a complete set of eCommerce features provided out-of-the-box. The plugin offers mobile-optimized design, discounts and special deals, geolocation support, opportunity to upload and sell physical and digital products, coupon code creation option, product reviews, secure and simple inventory management, convenient product organization, multiple checkout alternatives and more. Marketing Options. When using the plugin, you can control the process of user registration, create product catalogues, keep track of your sales statistics and target audience behaviour, set up categories and search filter options, set up payment, tax and shipping details, accept orders and online payments, organize mailouts to boost user engagement and awareness rate. Cost: WooCommerce is an absolutely free plugin. However, to make use of it to the advantage, you won’t go without purchasing hosting and domain name for your website. The most reasonable choice in this case is to use Bluehost – the officially-recommended WordPress hosting provider. The hosting is easy-to-use and understandable and it also offers a set of merits and features you can make use of, including security, decent customer support, flawless performance, rich marketplace, multiple scripts, unique WordPress-focused features, SEO tools, IP blacklist, DDOS protection, Site Access Blockage tool and more. Bluehost plans are quite affordable as well. Their cost ranges between $2.95/mo and $13.95 based on the terms and services implied. Are you right about to start an eCommerce website and look for a decent Shopify alternative? There are many services out there, which can come up to any taste, capabilities, skills, objectives and budget. Website builders work well for the prevailing amount of eCommerce tasks and you can choose any of them that fits your budget and needs most of all. Wix is a drag-and-drop all-in-one website builder which allows building small and medium online stores with decent performance. The platform feature set and performance are on the top notch level, while the system does not require any coding skills to launch decent web store with it. It’s a perfect solution both for newbies and web design experts. uKit is a simple, affordable and convenient website builder, the major area of specialization of which goes down to the development of small business websites, including online stores. The system works well for non-techies as well as for web design pros, who have the only idea in mind – to launch and successfully manage large-scale and full-featured eCommerce websites. BigCommerce is the eCommerce website builder, which is a good choice for creating small, medium and large eCommerce websites. The system somewhat lags behind other renowned niche leaders, but it also has much to offer contemporary customers in terms of eCommerce website development. Volusion is another popular eCommerce website builder, which allows building small-to-mid online stores at reasonable cost. The features and tools the system offers are understandable to users with diverse web design background, yet some coding skills are needed to master and use the system effectively. WooCommerce is an open-source shopping cart plugin that can be integrated into any WordPress-based website to give it eCommerce functionality. The plugin comes with an impressive niche-specific feature set and is absolutely free for download and installation. However, to get your web store online, you’ll have to invest into hosting (with Bluehost being the most reasonable solution) and domain name. There are many more sites like Shopify; in our post we’ve only mentioned those that differ from Shopify in the preferred user group (small and mid-sized business), features, pricing and ease-of-use. SaaS website builders are the best solution for small business owners and those entrepreneurs, who are going to sell several dozens of products. The benefits of Wix, uKit, BigCommerce, Volusion and WordPress are obvious: simplicity of the web creation process, convenience of the commerce module use and more affordable pricing plans. Anyway, it makes sense to test these alternatives and make your choice prior to launching your own business.